About error 0x0000008E, RAM faulty? I've tried to reformat my laptop, but still getting these error. Recently i never install any new hardware/software, never overclock or modify BIOS setting. I went to Google and get more information about the error 0x0000008E, found that 1 of the possibility is maybe due to faulty RAM. So I have run the Memtest86 and start diagnostic my RAM, now the diagnostic is still in the progress. 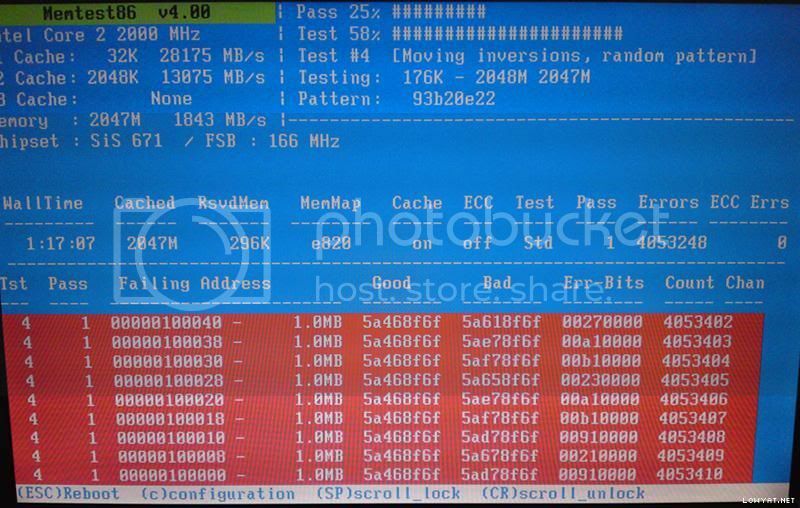 Attached below is the Memtest screenshot (the diagnostic is still in the progress). Does it show that the RAM has problem? See More: About error 0x0000008E, RAM faulty? Faulty RAM is just one of the many causes that trigger the BSOD. Try check out THIS site - it is all about solving Stop: 0x0000008E errors.